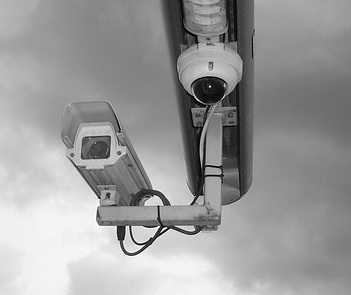 More and more people are taking up IP network-based technique of video surveillance owing to the flexibility and simplicity they afford users. When talking about IP cameras, these are available in two major variants: wired and wireless. The difference between these two types simply being that a wireless IP camera relies on the use of a fitted antenna in making connection to a network. The second version, PoE IP camera, involves the use of a network cable for creating a connection. Focus will be on these two in this piece to help you, to a certain degree, in deciding the one to choose, or perhaps even go for both. The answer to that question is probably obvious already. As described earlier, a wireless IP camera is one that utilizes an en suite wireless antenna to transmit video signals after setting up a connection to a network access point. For this to be possible, however, a user will first need to configure the camera. You have to allot it an IP address plus a port to make it feasible to access the device through a network. You can complete this either manually or automatically using DHCP equipped routers. As a user, you are able to easily access the camera thanks to its integrated firmware. This is built to work with popular web browsers, including Mozilla Firefox, Google Chrome and some others. What is a PoE IP camera? PoE is just an acronym for Power over Ethernet. This describes a system that enables transmission of electrical power along with data using a single Ethernet cable without having any safety issue. PoE IP camera is essentially a network-based camera that utilizes the same network cable for transmitting both electrical power and stream video signal. The camera has its own software. You can control it seamlessly from any computer in your local area network or via the Internet. One of the benefits that come with a wireless IP camera is that it does not rely on cables to work. This sets it apart from PoE IP camera. Criminals can destroy cables that are used for network connection in the case of the latter. But this is less probable with wireless security cameras since such shady individuals may have no clue at all where you set them up. Besides, a wireless IP camera is best suited in situations where it might not be a great idea or may be awkward laying network cables. This is especially the case in places such as historical or heritage structures or museums. Significant damage may occur if cables were to be laid at locations such as these. These cameras can be taken from one place to another easily without worry over availability of cables at the secondary location. An entire wireless setup can be transferred seamlessly to a new area. This makes wireless IP cameras perfect for provisional arrangements such as open-air events or fairs. A PoE IP camera, on the other hand, boasts more rapid rate of video transmission in comparison to its wireless counterpart. PoE network are known to be faster than Wi-Fi. Communication between the camera and client software involves less response time. So, there will be less lag time in getting video feeds direct from the camera. The risk of fire event is lower with a PoE IP camera. This is in particular true because it does not rely on AC outlets to supply electric power separately. You certainly know what can ensue when an issue develops with those outlets as a result of overload or another factor. The low voltage an Ethernet cable carries makes it more dependable than regular power cables. PoE IP camera can save you some money. This is considering there is no special need for AC power outlets. You are also free to set up your camera wherever you deem suitable since you are not inhibited by dependence on power outlets. This way, you can put up your security camera in places that are ordinarily hard to reach. An example of such is the roof of your home. You should be able to make a decision more easily between wireless IP cameras and PoE IP cameras with the information provided here. Each one obviously has its pros and cons. But the qualities you consider more important will ultimately determine which is better for you.